Emergency management officials are strongly urging residents on the south side of Rattlesnake Ridge to leave their homes. 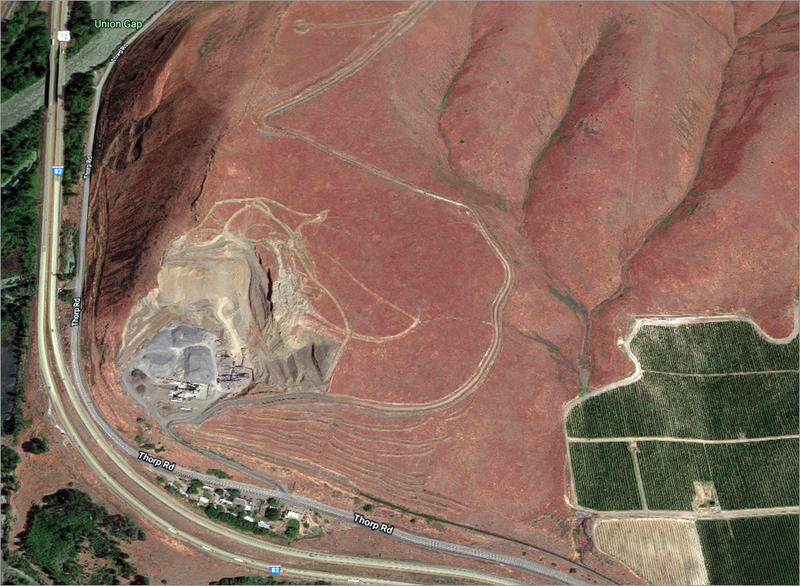 Since this satellite picture was taken, a scary-looking crack has cleaved the hillside above the quarry. Emergency officials are concerned it could turn into a major slide event. 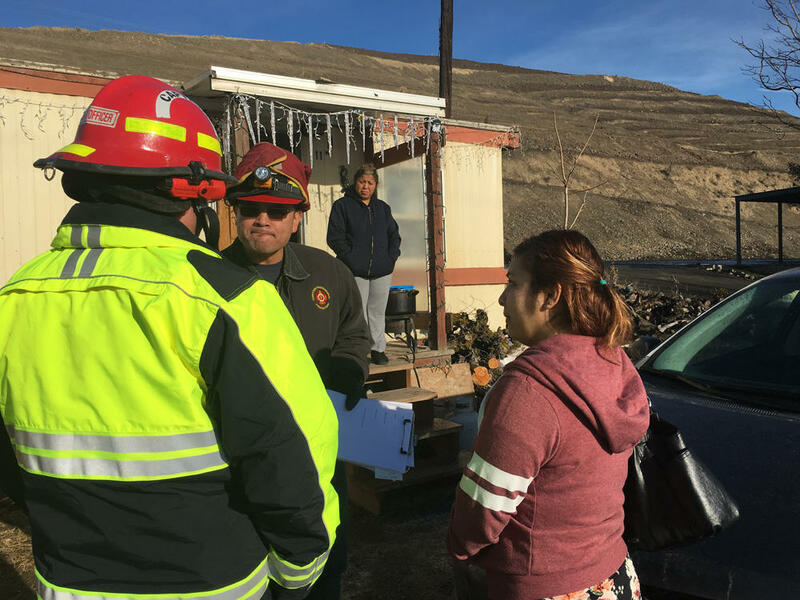 Officials in Yakima County, Washington, are strongly urging residents living below a shifting mountainside near Union Gap to evacuate. A huge crack that appeared on Rattlesnake Ridge last year is beginning to widen. The earth below the crack in Rattlesnake Ridge had been moving about one foot per week, but is now moving about 1.4 feet per week. There is "no definitive answer as to if or when significant movement of the slide will occur or how far the slide will travel," according to a Yakima Valley Office of Emergency Management press release. But experts monitoring the slide believe that since it is "slow moving and on a gentle slope that the landslide event will be small in nature and hopefully stabilize itself," the release said. But other geologists believe the outcome might be worse. According to Bruce Bjornstad, an expert in the geology of the Columbia Valley, a massive slide could cover I-82 and even dam parts of the Yakima River. Officials have closed Thorp Road and are positioning shipping containers along Interstate 82 to try to keep any falling rocks or debris off the highway. The Washington Department of Transportation is monitoring the area and has placed signs along the highway warning motorists of potential for rockfall.